Dating a Virgo man can be easy and enjoyable once you have gained his trust. However, it can also be a disappointing and painful endeavor in learning how to know if a Virgo man likes you. 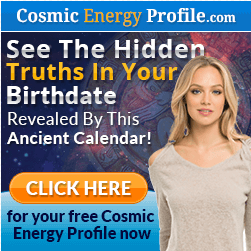 Particularly if you do not understand the characteristics, likes and dislikes of the Virgo earth sign. Therefore, if you want to win the Virgo man, it is important to understand his personality. For instance, Virgo guys are generally, intelligent, hardworking, practical, and can also be labeled perfectionists. If they allow you to get to know them, you will also find them to be down-to-earth and honest. I say if they allow you to get to know them! They are cautious, and will not open up if they feel they may be hurt emotionally later on. It is also important to enlighten yourself about the qualities that a Virgo man wants in a woman such as honesty, independence, and confidence. In addition, Virgo men often have very high standards not only for themselves but also for others. With that in mind, below are some top tips for dating a Virgo man. Please keep reading. If you want to keep the Virgo man interested in you, it is important that you make a good impression on him. For instance, Virgo men admire women who have a natural look. Minimal makeup, clean simple hairstyle, and clothing that are not too flashy. Therefore, when going on a date with a Virgo guy, it is important that you take care of your appearance. He is looking for an honest reliable woman, not one that wants to be the center of attraction. A Virgo guy has an honest outlook on life and expects the same from a partner. He is not into psychological mind games of trying to raise his interest by being late for a date for instance. He will take it as a snub rather than be desperate to see you. Virgo men admire honest women. Therefore, to win the Virgo man, it is important that you show him you have an honest character. Dating online is nowadays a very accepted way of meeting a partner. However, there are lots of pitfalls to look out for. If you want to be successful at online dating you may find this site Online Allure, worth a look. It can be very tempting to pretend when you are head over heels for a Virgo fella. However, you do not need to pretend that you are interested in something when you are not. You also do not need to play games or lie to be a person you are not, just to impress your Virgo crush. Your Virgo crush will certainly withdraw or pull away if he realizes you are being insincere. So, from the get-go, it is important that you let your Virgo crush know the true you. Virgo men are intelligent. What’s more, they admire smart women. So, if you want to stimulate the heart of a Virgo male, it is important that you stimulate his brain. It is important that you familiarize yourself with topics that your Virgo crush is interested in. You will gain his attention and respect if you show even a little knowledge of his pastimes. Doing this will engage you both in interesting conversations which will enhance the relationship. If you are talking to a Virgo guy you have met online, you need to know how to proceed. Check out Online Allure, for tips to help you. In other words, you need to prove to your Virgo crush that you have the wit and ability to keep up with his intellectual side. Excitement about meeting a Virgo male who has all your preferred qualities can make you lose your independence. However, it is important to note that a Virgo man in love wants an independent woman. If you want a Virgo man to commit to you, it is important that you avoid being clingy or needy. You need to prove to your Virgo crush that you have the ability to balance a relationship with your interests, hobbies, and career. If you have the hots for a Virgo guy and want to know how to get him to chase you, even if he seems disinterested, check out my article here. Suffocating your Virgo man with constant attention will make him lose interest in you. Patience is a key factor when dating a Virgo male, particularly after you have communicated your interest in him. Virgo men are serious and cautious. They love taking their time before deciding if they want to spend the rest of their lives with a particular woman. Therefore, it is important that you let your Virgo crush do the chasing. Pushing or rushing him to commit to you before he is ready will make him pull away. It is important that you give him time to know you and to get more comfortable around you. Virgo male is a workaholic. So, your Virgo date is likely to work overtime or work from the house during his off days. With that in mind, it is important that you learn to respect his work. Giving him a hard time when he is trying to complete important tasks can make him perceive you as someone who is unsupportive of his career and life goals. Therefore, you should avoid complaining even when he does not show up for a date on time. Your understanding and tolerance for what your Virgo partner loves will certainly make him feel loved and appreciated. Virgo men are adventurous and they love new experiences. What’s more, they also love good food. During your first dates, you can find out about his favorite foods, which you can prepare for him on a later date. So, if you want to impress your Virgo man, you can propose to go with him to venues that he has an interest in. These could range from fairgrounds which bring out his adventurous side to museums that will appeal to his intelligence. Making suggestions like this will assure him of your interest and he will feel comfortable and drop any barriers. As explained above, a Virgo man has a very cautious nature when meeting new people. He may well be interested in you but will not show it until he is sure he will not be rejected. You need to find ways of placing yourself in positions where he can talk to you on a casual basis. Remember, a Virgo man hates to be chased so flirting and eye contact usually does the trick. The above tips for dating a Virgo man will not only guarantee you a second date but also keep your Virgo man forever interested in you. 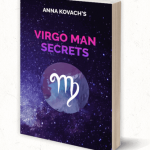 If you would like to find out more about a Virgo man’s characteristics you can read my review of Virgo Man Secrets Here. This book was written by leading astrologer and relationship expert Anna Kovack and answers questions about the complex Virgo. Please message me if you need any more advice in finding lasting happiness with a Virgo Man.